I continue to be challenged by reading Katie Davis’ new book. People are watching us as we stay at our post, alertly, unswervingly…in hard times, tough times, bad times; when we’re beaten up, jailed, and mobbed; working hard, working late, working without eating; with pure heart, clear head, steady hand; in gentleness, holiness, and honest love; when we’re telling the truth and when God’s showing His power; when we’re doing our best setting things right; when we’re praised and when we’re blamed; slandered, and honored; true to our word, though distrusted; ignored by the world but recognized by God; terrifically alive, though rumored to be dead; beaten within an inch of our lives, but refusing to die; immersed in tears, yet always filled with deep joy; living on handouts, yet enriching many; having nothing, having it all. Dear, dear Corinthians, I can’t tell you how much I long for you to enter this wide-open, spacious life. We didn’t fence you in. The smallness you feel comes from within you. Your lives aren’t small but you’re living them in a small way...open up your lives. Live openly and expansively! (2 Corinthians 6:10-13, The Message). That is a supernatural existence. Jesus blazes from that kind of life. People cannot explain that kind of life. I am very self-protective at times…of my time, my resources, my home. Yes, we all need have to have boundaries. They are important and necessary. However, I am talking about having an attitude of willingness to go with Jesus wherever and whenever He calls…without my primary concern being my comfort. Jesus never called His followers to a life of ease. That is a lie perpetrated by the false health-and-wealth-this-is-your-best-life-now “gospel”. Rather, He tells us plainly: ““If anyone desires to be My disciple, let him deny himself (disregard, lose sight of, and forget himself and his own interests) and take up his cross and follow Me (cleave steadfastly to Me, conform wholly to My example in living and, if need be, in dying also).” (Matthew 16:24). Only by living that kind of life can the life described in 2 Corinthians 6 be possible. So the question is: Am I living that kind of life? Ann Voskamp has written that “Fear makes a life small.” That is very true. Jesus has been beckoning to me, stirring my heart to let me know that He is at work and the status quo has got to go. I follow a Savior who loves extravagantly and lavishly. He is teaching me to love like that. I don’t want my life to make sense or be easily explained. I want my life to shine a spotlight onto Jesus and His mighty power and transforming love. 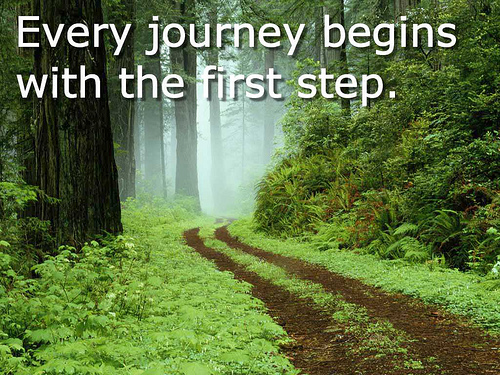 I can hardly wait to see what the next step of the journey will be!